Jackson Lodge No. 17, F. & A.M. The first Lodge in Jackson County and from which Jackson Lodge No. 17 was later organized had its beginning in the summer of 1838 in the Village of Brooklyn under the dispensation of the Grand Master of the state of New York. Their meetings were held over Tiffany's Store, their first Worshipful Master being William Jones. A few years later, this Lodge moved to the new stone tavern at Napoleon built by Col. Bolton, but moved back again to Brooklyn in 1843 in better quarters over a new store built by A.P. Cook. On June 5, 1845, the Grand Lodge of Michigan granted a charter to St. John's Lodge No. 3 in the village of Jackson and soon after the original St. John's Lodge in Brooklyn disbanded, being absorbed by the Jackson Lodge. St. John's No. 3 began operation in a hall in the Merriman Block on the north side of Michigan Avenue, but in the summer of 1847, by a vote of the membership, its charter was surrendered. A few weeks after the surrender of the charter of No. 3, some of the members applied for and received a dispensation for a new Lodge, Paul B. Ring being the first Worshipful Master. At the next session of Grand Lodge on January 14, 1848, a charter was granted under the title of Jackson Lodge No. 17, F. & A.M.
On January 15, 1852, Fidus Livermore and others obtained a charter for a second Jackson Lodge under the title of Michigan Lodge No. 50, F. & A.M. Both Lodges at this date occupied rooms in a building at the southeast corner of Michigan Avenue and Mechanic Street. In 1853, Jackson No. 17 and all Masonic bodies moved to new quarters at the corner of Michigan Avenue and Jackson Street. These rooms were later (1881) used as composing rooms by the Daily Patriot. In 1870, all of the bodies moved to the Keystone Block at the corner of Liberty and Otsego Streets, the location of the old Post Office. In December of 1877, due to rapid increase in membership, all bodies moved to a commodious suite of rooms in the Bennett Block, or the location of the L. H. Fields store at the southwest corner of Michigan Avenue and Jackson Street. In 1881, the membership of Jackson Lodge No. 17 was 210 and Michigan No. 50 was 192. As the time passed, it became more apparent that the quarters above Field's store were not adapted to the present day requirements and a campaign was started which in 1907 culminated in the laying of the corner stone of the Masonic Temple on Cortland Street. This corner stone was laid on April 25, 1907, at 4:00 p.m. under the direction of Brother Charles E. Sweet, Most Worshipful Grand Master of the Grand Lodge of the State of Michigan. In the ceremonies and parade accompanying the laying of the corner stone, there were nine Commandry Units represented. In addition to the two Blue Lodges of Jackson No. 17 and Michigan No. 50. Also, the Jackson Guard, Withington Guard, Boo's Band and a platoon of Police were present. During the year following the laying of the corner stone and until the interior of the Lodge was completed, great activity consisted of fairs, minstrel shows was carried on in the new auditorium to provide funds for the Temple construction. The Building Committee for the new Temple consisted of Chas. E. Ulrickson, Fred H. Helmer, Andrew J. Weatherwax, Alva H. Travner and Thomas H. Williams. In addition to these brothers who were also on the first Board of Trustees of the Temple Association, the Board consisted of Wesley Sears, President; Sam W. Winchester; William A. Brewer; Anthony J. Patch; Dean S. Fleming; Robert A. Smith and Peter B. Loomis. The Architect for the building was Claire Allen and the contract cost of the construction was $47,998.00 . On the evening of March 6, 1908, the first gavel was struck in the new Temple in a joint meeting of Jackson Lodge No. 17 and Michigan Lodge #50. Due to the fact that Jackson Lodge No. 17 was the older of the two Lodges, Charles K. White, then Worshipful Master of No. 17 opened the first meeting and Ben Williams, then Worshipful Master of Michigan No. 50, closed the meeting. Since that date Jackson Lodge No. 17 has experienced periods of prosperity and depression. During the war years of World War I and immediately after, the membership of the Lodge increased rapidly and during the depression years that followed, the membership could hardly hold its own. History repeated itself with an increase during the war years of World War II to the current day continual decrease. The membership of Jackson No. 17 was 1,017 and Michigan No. 50 was 697 in the year 1942. The membership of Jackson Lodge No. 17 at the start of 1985 was 385 active members of which 123 were Life Members. The membership of current day is far less with many brothers having Life Membership status. Once again, on May 28, 1988 after 81 years the Jackson Masonic Bodies moved again to its current location. The new Masonic Center was dedicated on this date at 4:00 p.m. in ceremonies by Kenneth Bolton, Grand Master of the State of Michigan and the Officers of the Grand Lodge. In attendance were the two Blue Lodges and the other Temple appending bodies. At the time of the dedication, David R. Rood was Worshipful Master of Jackson Lodge No. 17; George G. Kass was Worshipful Master of Michigan Lodge No. 50 and Ronald B. Smith was President of the Jackson Masonic Temple Association. In late 1999 the membership of Jackson Lodge No. 17 grew once again with Liberty Lodge No. 209 surrendering its Charter and consolidating with Jackson Lodge No. 17. On October 24, 2008 the membership of Jackson Lodge No. 17 grew one more time with Coolidge Lodge No. 532 of Michigan Center surrendering its Charter and consolidating with Jackson Lodge No. 17. On June 3,2009 at the Annual Grand Lodge Communication in Grand Rapids a vote was taken and it was approved to move the Charter of Jackson Lodge No. 17 to the former Coolidge Lodge No. 532 Temple located in Michigan Center. The first meeting which was a Regular Communication took place on Thursday, June 11, 2009. The first degree to take place in the new location was at the Annual Strawberry Festival on Thursday, June 18, 2009 and was an Entered Apprentice Degree done by the Region No. 4 Regional Grand Lecturer Stephen D. Vining P.M. with the assistance of several of the Lodge Past Masters. On January 6, 2016 the membership of Jackson Lodge No. 17 grew yet again with Michigan Lodge No. 50 of Jackson surrendering its Charter and consolidating with Jackson Lodge No. 17.
rev. 2016, 2009, 2003, 1985, 1942 Membership Yearbook. Liberty Lodge No. 209, F. & A.M.
Dispensation to form Liberty Lodge No. 209, F. & A.M. was granted by the Grand Master of Masons in Michigan, Salathiel C. Coffenberg, on November 27, 1866. The Charter was issued on January 10, 1867 and the first officers were installed at a Special Communication of the Lodge on March 19, 1867. The installing officer was Brother Benjamin Porter, acting Grand Master and the officers installed were: Brother Harry C. Campbell, Worshipful Master; Edward Tompkins, Senior Warden; David W. Alverson, Junior Warden; Burr Tuthill, Secretary; William H. Foot, Treasurer; W.A. Freeman, Senior Deacon; Noah Tuthill, Junior Deacon; Hiram Tuthill and Amasa W. Marsh, Stewards; and Peter P. Bell, Tyler. These ten Brothers along with Eligah Straight, Albert Tompkins and Alfred Russell constituted the 13 charter members. During the early years a building for meeting purposes was rented from James R. Hilton. The meeting room was the upstairs room of the same building presently operating as the Liberty General Store. Before renting from Mr. Hilton, the Lodge met in an old cooperage building which was a part of the Liberty Mill operation run by James Loomis. The present site of the Lodge building was originally owned by E.B. Fuller before Michigan joined the Union. Title was subsequently transferred to Mr. S.H. Holmes, then to John Crispell and later sold to James H. Loomis who offered the site to the Masons in trade for the property the Lodge had acquired to the south and west of the present property. On July 1, 1890 a committee was appointed to investigate building a Lodge Hall of their own. Brothers Burr Tuthill, G.G. Pond and S.B. Kerr, under the leadership of Worshipful Master David W. Alverson submitted its report on August 26 of that same year, however no action was taken. On January 23, 1891 a new committee, consisting of Brothers James Lewis, Benjamin Dunn and Charles Bell set up to carry out the program for a new temple. Finally on February 2, 1895 a motion was made and carried that the new Lodge be built. One dollar was sent to Grand Lodge for the Deed and the on October 1, 1895, by a vote of the Lodge, the move was made to the new building. The dedication of the Lodge building occurred on October 22, 1895 with the following Brothers performing the dedication ceremony: Jefferson S. Conover, acting Grand Master; David W. Alverson, acting Grand Senior Warden; Charles S. Anderson, acting Grand Junior Warden; and Joseph Tomlinson, acting Grand Secretary. A banquet followed at which several hundred persons were served. The first degree work performed in the Lodge’s new building followed the dedication ceremony and banquet, and Hamilton Lodge No. 293 conferred the Master Mason Degree on Brother Frank Hammond. On November 21, 1895 a motion was made and passed that the Order of Eastern Star be allowed to use the building for its meetings. It is a rather humble feeling when digging into the old archives of Liberty Lodge to realize that here in the little town of Liberty Mills the precepts and tenants of Masonry have continued to flourish for a hundred years - - over half the life of our nation. Reading the exquisite penmanship of the early scribes and realizing that our present dedication to the Masonic principles has its roots in the actual beginnings of our great Midwest is an inspiration to our present members who greet our Centennial year 1967 as another milestone in the ultimate history of Liberty Lodge No. 209, F. & A.M. The craft in Jackson are enjoying the growth in membership so generally prevalent throughout the nation. This interest is not confined simply to any particular portion of the organization, but is being displayed in Blue Lodge, Chapter, Council and Commandery, and also in those auxiliaries recognized by the grand bodies of the jurisdiction. All are adding new members, all are favored with zealous, capable officers, and all are splendidly exhibiting the virtues which characterize the Craft, and which account for its continued life through the centuries. There are over 4,000 Masons in the city, Jackson Lodge, No. 17 having 1,594; Michigan Lodge, No. 50, 1,225; Jackson Chapter, No. 3, 1,022; Jackson Council, No. 32, 690. In addition to the membership of the Lodges it is estimated there are about 500 unaffiliated Masons living here, many of whom attend the meetings of local Lodges, while retaining, through sentiment, membership in the Lodge where they were raised. The Masons of Jackson have quarters which clearly indicate the good health of the organization. The Temple furnishes a gratifying contrast to the humble rooms which sufficed in the early days for the meetings. Its facilities embrace a Lodge room, with gallery and all the requisite rooms for the ritualistic work; modern equipment in lanterns, slides, and musical instruments, with quarters for non-member singers, who can be heard but cannot see, all of which enable the Brethren to work most effectively. In addition to these features the Temple has a basement dining room, with spacious kitchens and serving rooms, a popular club room and parlors, with an electric elevator at the service of those unwilling (or unable) to climb the stairs. In this connection it may be well to give the location of former Lodge rooms, some of which have yielded to the improvements which the city’s growth have brought into being. The first Lodge room was that used by St. John’s, No. 3, in 1845, and by its successor, Jackson Lodge, No. 17, located in the present Dwight Block, then called the Merriman Block. In 1852 the Lodge was in a building where the Peoples National Bank now stands, and in 1853 two Lodges united in using the third floor of the present Beacon Drug Store, on the SE corner of W. Michigan Avenue and S. Jackson Street. For one year after its organization Michigan Lodge, No. 50, met in the block now the site of the Allen Bennett Block. These rooms were expected to meet the needs of the craft for years, but in 1870 another move was made to secure more spacious quarters, this time occupying the third floor of the Keystone Block, on the corner of Liberty Street and Otsego Avenue. From this place the Craft moved, in 1877, to the third floor of what is now the L. H. Field company store (SW corner of W. Michigan Ave and S. Jackson St.), where they remained until the completion of the present temple in 1905. This is an account of the migrations of the Lodge rooms. Each being a “statelier mansion” for the Lodges than the quarters from which they moved. In some features the first days of Masonry in Jackson are like those of the beginning of the order in that tradition must be relied upon. But these facts are vouched for in the past, so can be accepted as correct in essential things. Jackson’s first Lodge was originally located in the village of Brooklyn, strange as it seems. St. John’s Lodge was formed in 1838, just six years after the first settler drove his axe in the forests there, acting under a dispensation granted by the Grand Lodge of New York. After a few years it was moved to Napoleon, but returned, in 1843 or ‘44 to Brooklyn. Two years later it disbanded and the membership joined with St. John’s, No. 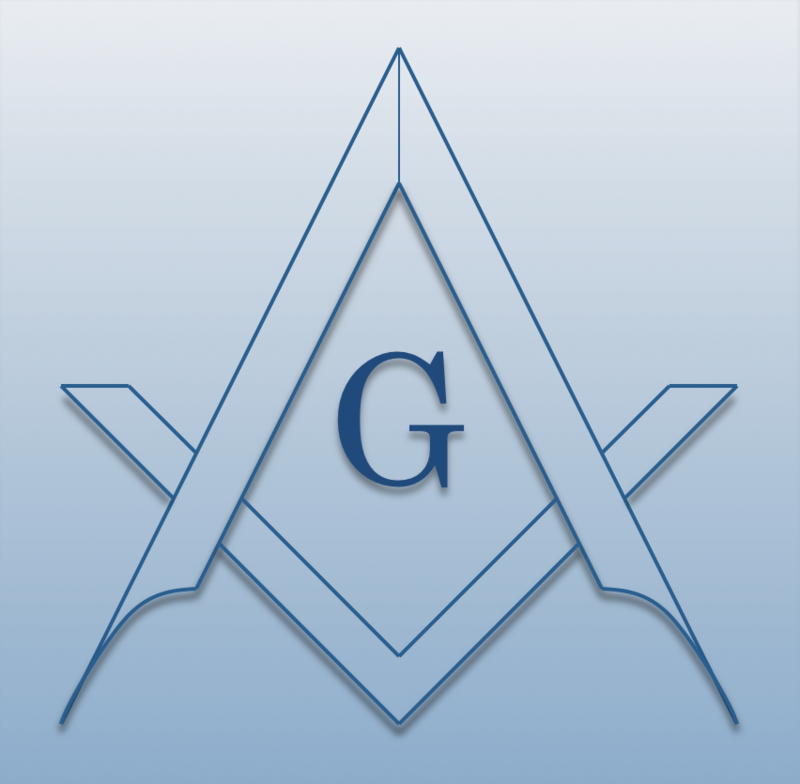 3, of Jackson, organized under a charter granted by the Grand Lodge of Michigan. Many of the members of the Brooklyn Lodge lived in Jackson, and these naturally wanted to have Masonic facilities at home, especially as Jackson had by this time definitely outgrown Brooklyn. St. John’s Lodge, No. 3, operated for two years, but, in 1847, surrendered its charter, serious discord having crept into the membership. Almost immediately one of the factions secured a dispensation from the Grand Lodge for a new lodge, and on January 4, 1848, the Grand Lodge granted a charter for “Jackson Lodge, No. 17.” The first officers were Paul B. Ring, Master, Czar Jones, S. W., and Wm. N. Choate, J. W.
The other group sought to obtain recognition for another Lodge, and received a dispensation in 1849, but this was not confirmed by the Grand Lodge, and the effort was abandoned. In 1852, however, another effort was successful, and a charter was voted on (for Michigan Lodge, No. 50) January 15, with Fidus Livermore, W.M., Michael Shoemaker, S.W., and James C. Wood, J.W. The subsequent growth of each Lodge demonstrated the need of two Lodges, for each has prospered, with an annual increase which steadily moves the total membership upwards. In point of continuous existence, Jackson Chapter is the oldest Masonic organization in the city, having originated under a dispensation granted by Deputy Grand High Priest Jos. K. Stapleton, of Baltimore, Md., on February 8, 1847, with Czar Jones, High Priest, Paul B. Ring, King, and Benj. Porter, Scribe. The first meeting for work was held March 31, 1847. On Sept. 10, 1847, the Grand Chapter of Ohio granted a charter. This foreign charter was superseded by one granted by the Michigan Grand Chapter in 1874. Jackson Chapter, No. 3, united with No. 1, of Detroit, and No. 2, of Niles, to form the Grand Chapter of Michigan in January, 1848. Jackson Council, No. 32, was formed Sept. 24, 1870, under a dispensation, the charter being granted Jan. 11, 1871. First officers were J. L. Mitchell, T. I. M., Ira H. Smith, D. T. I. M., and Thos. C. Wilder, P. C. W.
Up to 1860 those Jackson Masons desiring the orders of knighthood were forced to petition Eureka Commandery, No. 3, at Hillsdale. But under a dispensation granted Feb. 13, 1860, Jackson Commandery, No. 9, was organized, with the following as officers: Benj. Porter, E. C., Jas. A. Dyer, G., Harvey Foote, C. G., Chas. A. Weismore, P. This authority continued until June 6, 1868, when a charter was issued. It is worthy of mention that through all these years the Commandery was sustained by the zeal and interest of Benj. Porter, who served as Eminent Commander throughout. In 1869 he declined re-election and John L. Mitchell was elected as his successor.